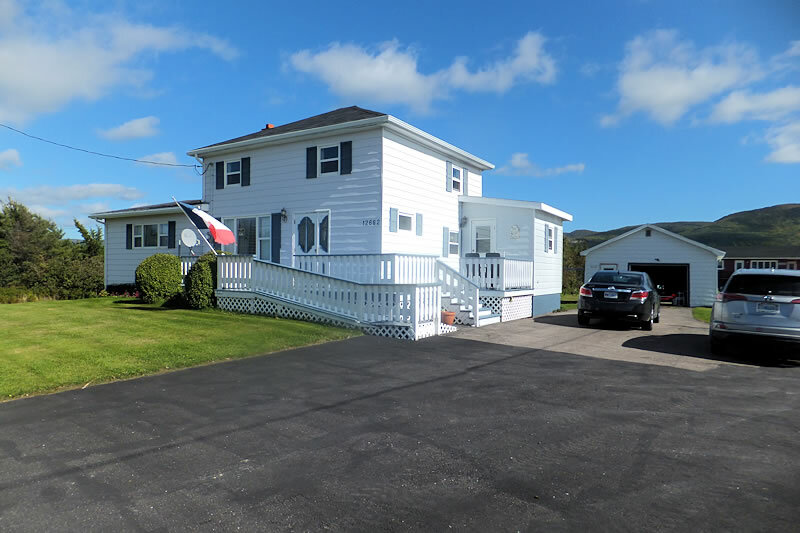 Located among the charming properties in Grand Etang, this lovely home belongs perfectly, and like most Acadian homes, the gardens and landscaped grounds are meticulously cared for. The kitchen layout permits an open atmosphere next to the large living room and adjoining piano room. The master bedroom is located on the main floor with its attractive ensuite bath having a comfortably sized Jacuzzi tub. The decking in front of the house provides a very pleasant, stunning, and relaxing area, while the barbecue on the rear deck, partially shaded by a gorgeous apple tree (which makes delightful applesauce) is easily accessed from the kitchen. The original building was constructed in the early 1900s and the present owners raised the building in 1972 to install a concrete floor and basement with 6 foot ceilings. A gasoline fuelled generator is wired into the house electrical system, but requires switching once the power is lost. A new roof on the main part of house in front was just completed, the rear in 2004. Water is supplied from a common source in the rear hills, gravity fed for $125/year. The paved driveway has a large parking area, and there is a detached garage with storage space. 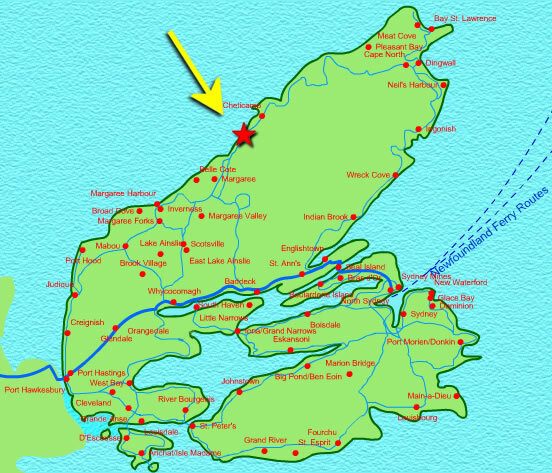 Shopping and services are only 15 minutes away in Cheticamp. Wildlife is varied and plentiful: in the air, you see Blue Herons, seagulls, Bald Eagles, Black Guillemots, Northern Gannets, Double Crested Cormorants and Common Mergansers; on the land, you see red squirrels, rabbits, coyotes, and deer; in and around the water, there are muskrats, Harbour and Gray Seals, porpoises and dolphins, as well as a number of different types of whales - Pilot, Humpback, Finback, Blue and Minke. There is a protected blue heron rookery - the largest in the maritimes - with over 100 nests in the trees on nearby Cheticamp Island. 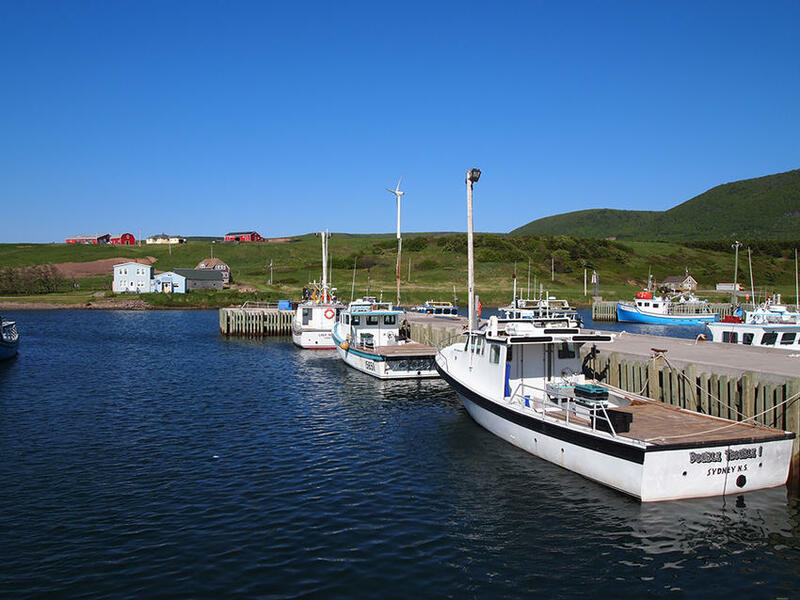 Nearby Cheticamp is a charming Acadian town with an excellent Co-Op grocery store, French baked goods, a number of good restaurants, the Le Portage Golf course, public wharves, local fishing fleet, sport fishing opportunities and much more. Whale watching cruises - origination point, Pleasant Bay Harbour. Interestingly, if passengers don't see whales, the trip is free! Welcome! We invite you aboard for a Cape Breton, Nova Scotia maritime adventure of a lifetime on the 'Whale Cruiser' as we ply the waters of the St. Lawrence in search of fin, pilot and minke whales as they feed in our summer waters. Government of Canada web site. Details nearby Highlands which cover 950 square kilometers, about 20% of northern Cape Breton. It is the largest protected wilderness area in Nova Scotia and is an outstanding Canadian landscape. More info about this incredible park. An eighteen hole course located in Cheticamp. Lists score card, video tour of each hole with playing tips, description, fees and location. Web site covering this annual event held for highland hikers. Very complete information. 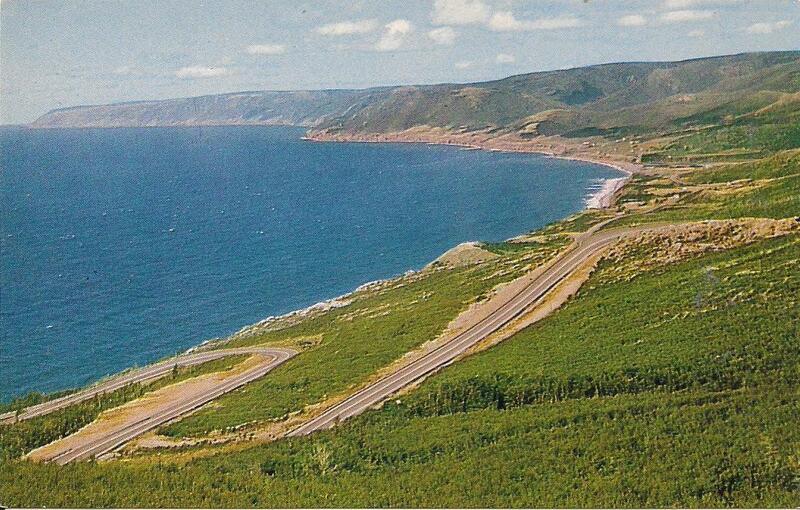 Interactive map, virtual tour and community links - check the Cheticamp area of the Cabot Trail. Categories of information about Cheticamp include: geography, history, genealogy, climate, tourist information and community organizations/groups. Up Route 19 to Grand Etang, property on right, signed. Showing by appointment only - please contact Tom @ 866-325-1001 or 902-756-3073. Inclusion/exclusion list provided at negotiations. 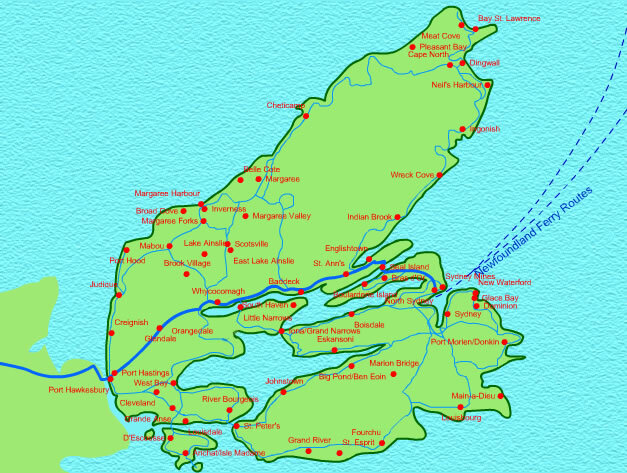 Click to see a detailed map of Cape Breton. A customized version of this map is available for each property listing and shows the exact location of the featured property. Click to use Yahoo's currency converter in a new browser window. All prices here are expressed in $ Canadian. © 2005-2016 CapeBretonEstates.com Inc. All Rights Reserved.